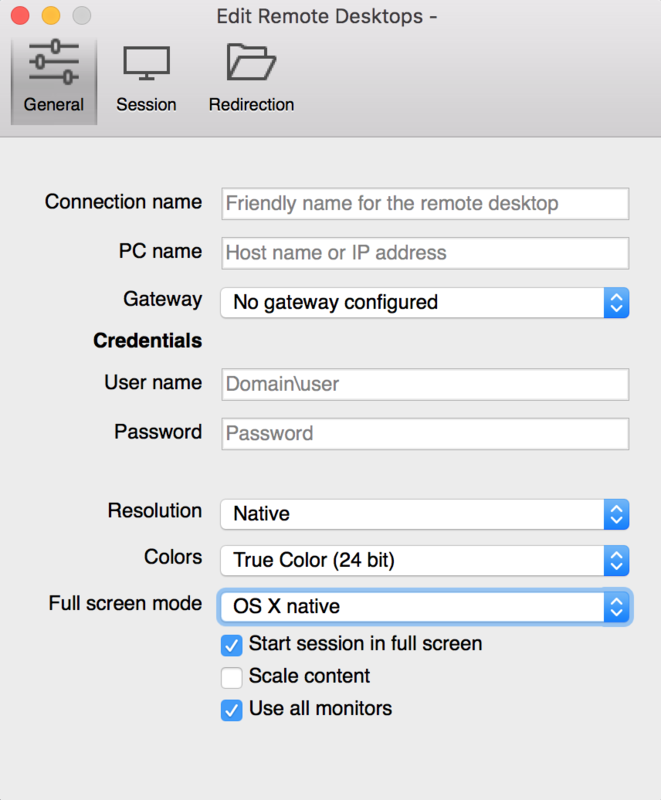 How do I use my Mac to remotely access a Windows computer on-campus? All faculty, staff and students have the ability to remote access. Step 1: Confirm Windows desktop settings and obtain computer name. Make sure your Windows desktop is set to allow remote connections and you have the computer name. The Remote Desktop Windows article has instructions. Step 2: Download Microsoft Remote Desktop. Download Microsoft Remote Desktop from the Mac App Store. Please note this will require you to be signed in with your personal Apple ID. If you do not have an Apple ID, or to reset your password, please visit the Apple ID page. Step 3: Download and Connect to the UNCW VPN. The Virtual Private Network (VPN) will connect your Mac to the UNCW network, even if it is off campus. (Note: If your Mac is already on campus and connected to the network, please skip this step.) Follow the instructions below to connect to the VPN. 1. Go to https://asa.uncw.edu (NOTE: This link will only work if you are off campus). 2. Log on with your UNCW username (without the @uncw.edu) and password. 3.. 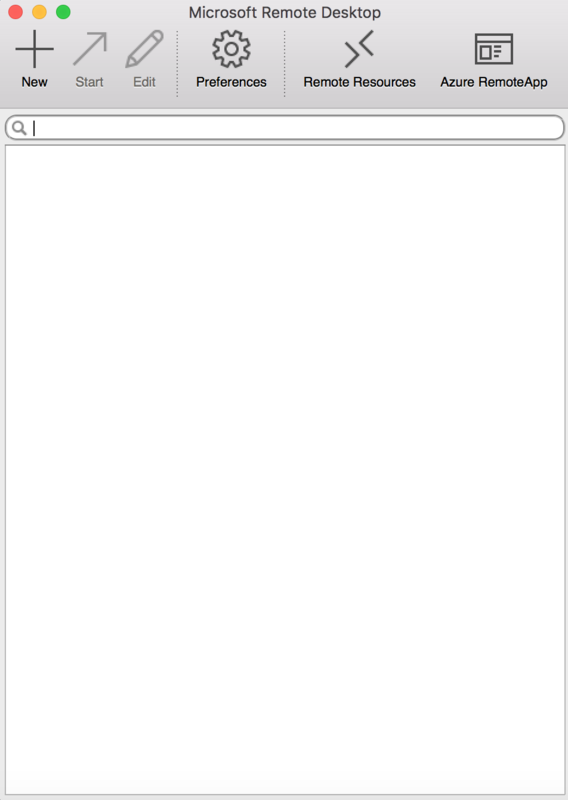 Select "Anyconnect" on the left sidebar, then "Start AnyConnect." Anyconnect will now attempt to find Java on your computer. If found, click "Download" and the VPN will install automatically. If Java is not found, click "Mac OS X 10.6+ (Intel)" to install the client in the manual installation window. Install like a normal .dmg file. 4. The installed client will have an icon like this in your LaunchPad (the rocket ship icon on your dock) or Applications folder in Finder. If it is not already there type asa.uncw.edu into the text box and click "Connect." You are now connected to UNCW via VPN. 1. Open the Microsoft Remote Desktop application in LaunchPad or Applications folder in Finder. 3. Click the "New" option and it will bring up a screen requesting information about the computer you are connecting to. Connection Name: Any name can be placed in the field. PC Name: Enter the Computer Name or IP Address you obtained in part 1. 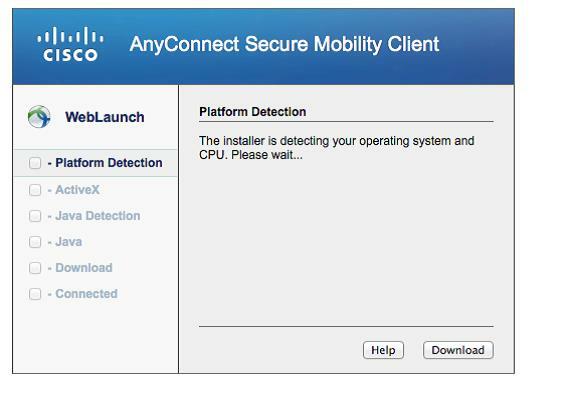 Gateway: Leave "No Gateway Configured" selected. 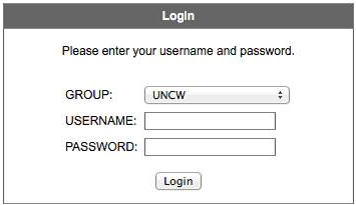 Username: uncw\username (Please note the back slash). Leave all the other options on their selected defaults. 4. Close the new connection window. Select the new connection, and click "Start." 5. If you are having trouble logging in, please check the remote desktop settings on the Windows machine from part 1. If you need further assistance, please contact the TAC at 910-962-4357, or submit a service request.